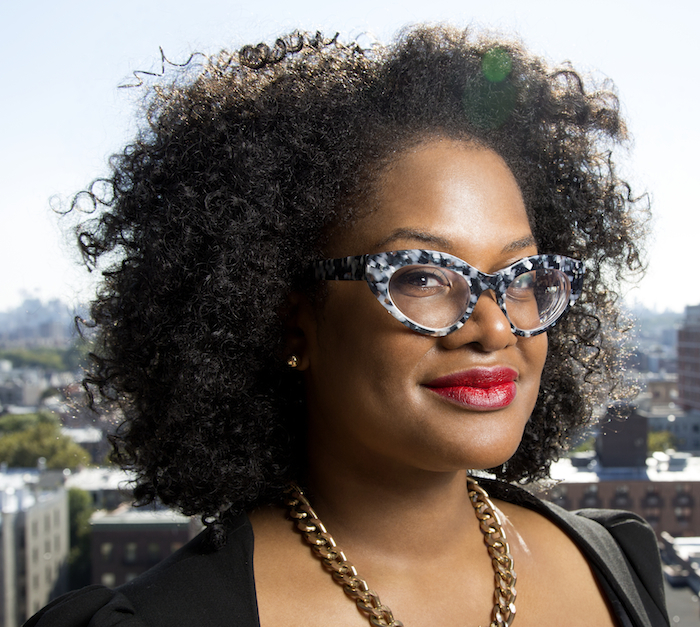 digitalundivided is a groundbreaking organization focused on Black and Latina women founders. Their latest effort, #ProjectDiane, is a major study of venture funding, Black women founders, and startups, and the findings are out now. In our last issue, Kara Melton highlighted how Black women lead entrepreneurship — indeed, creating the very business models the startup economy relies on. Yet Black women are still erased from narratives about entrepreneurship and startups, and systemically excluded from funding. #ProjectDiane documents this reality in their newly-released report, with new statistics on just how skewed venture funding really is. At the same time, their work highlights the brilliance, achievement and innovation of Black women, both in tech and other fields. In addition to leading this research, digitalundivided is currently working on a documentary film – the first to explore the intersection of race and gender in tech – and establishing a pre-seed fund specifically dedicated to Black and Latina women founders. We sat down with founder Kathryn Finney to discuss the #ProjectDiane findings, the founders that inspire her, and what’s next for digitalundivided. MVC: Over the past six months, digitalundivided has been in the process of creating the #ProjectDiane Report on Black Women and Tech Entrepreneurship. What are the major finding of the report? One significant finding is that despite being the fastest-growing group of entrepreneurs in the U.S. (over 1.5 million businesses owned by Black women) that generate over $44 billion in yearly revenues, Black women startup founders have only actually received 0.2% of venture deals funding over the past three years, at an average of just $36,000. In comparison, an average (mostly white male-led) failed startups raises $1.3MM. Moreover, we have only been able to verify 11 startups led by Black women that have raised at least a million dollars. MVC: In addition to using existing industry databases, DID also conducted its own field research and interviews with Black women founders. What were the big take-aways from that research, as far as the experiences — both positive and negative — that Black women founders are having in the field? One interesting note was that a majority of the founders didn’t have a STEM background. Among the founders we’ve talked to include an architect, a former management consultant, and an unemployed writer. Their unconventional backgrounds led them to build innovative companies which now have an established clientele and revenue, and even plans to expand across other states in the U.S. However, Black women founders still have to contend with biases that plague the industry. We had one founder who went to a meeting with a potential investor and was mistaken as the receptionist. MVC: Can you talk about a few of the founders you worked with over the course of this project, who really stood out to you? Kellee James (Founder & CEO, Mercaris) is one of the 11 members of the $1MM Club, having raised $3.4MM to date. Prior to founding Mercaris in 2012, she served as a White House Fellow and advised members of the Obama administration on markets for fisheries, catch limits and water quality markets. A writer once shared about her that “Kellee actually turned down further meetings and even money from some VCs because their vision, core values, or culture didn’t match that of her or her business”. She was that gutsy and principled. Kellee was named in Crains Chicago 40 under 40, and I covered her in Inc. as one of the 9 Awesome Black Women Tech Founders to Watch. Interestingly, Kellee once aspired to become the first African American horse rider to make it to the Olympics, but her path eventually led her to the $31 billion organic food market instead. Another founder is Kelechi Anyadiegwu, founder of Zuvaa, an African Design Marketplace. Kelechi, who used to work for us, create Zuvaa from her own love of fashion and grew it to close to 7 figures in revenue in less than a year. She has a pretty amazing Instagram presence as well. MVC: Another big thing that is developing out of #ProjectDiane is the #ReWriteTheCode documentary, the first ever to explore the intersection of gender and race in tech. How’s the documentary coming so far, what’s been the most surprising thing in the development process, and what’s the next step? We’ve wrapped up the interviews and are now on post-production phase. We hope to have it finished in time for festival season 2016! The most interesting, but not really surprising, thing we’ve found is that Black women were among the very first “computers”, working on the ENIAC computers alongside tech heroes like Grace Hopper. Their stories haven’t been told, yet. Besides our documentary there’s also a new movie coming out based on Margot Lee Shetterly’s book, “Hidden Figures,” about the female “colored computers” at NASA starring Viola Davis, Taraji P Henson, and other awesome actors. MVC: One of the virtuous tensions in diversity in tech is that differential between reforming the existing system of funding and opportunity, and building new networks and structures. What are your thoughts on that, and where do you see DID on this spectrum? You can only punch a wall for so long before you either break your hand or the wall. At digitalundivided, we decided to stop punching the wall, buy a chainsaw, and make our own door. We would like to see other stakeholders become a factor in supporting these founders too, such as state-run pension funds and organizations, or even individuals. We encourage city and state pension funds, the largest investors in venture funds, to consider divesting in funds that do not have diversity. It’s not like the returns from venture funds have been so great for them anyway, and a large portion of the money that these funds invest come from diverse folks, so why not invest back in your citizens? This is also why we will soon launch the Harriet Fund, the first pre-seed venture fund focused on investing the untapped potential of high potential Black and Latina women-led startups. MVC: How can readers continue to follow and support your work? Please follow us on either Facebook or Twitter, or sign up for our newsletter over at digitalundivided.com.